I might not be part of Generation Z, but I definitely grew up in an era permeated with pre-iPhone technology. So it’s a little embarrassing to admit that I track my professional income and expenses in a basic Microsoft Word document, because I’m not proficient in Excel. Sitting in a bubble gum-pink chair in the technology room at the Quigg Newton Community Center, I’m hoping I’ll learn something while observing one of DHA’s free digital literacy classes. Today’s hour-and-a-half lesson on Excel is the fifth class in a six-part series designed to teach adults who live in DHA’s residential developments the computer competencies needed for holding a desk job in 2018. The Denver Housing Authority. Comcast launched Internet Essentials in 2011, with the goal of bridging the digital divide. Photo by Jamie Siebrase. DHA’s digital readiness classes are taught by two instructors: Tony Frank, the organization’s digital inclusion director, and Itzel Garcia Garay, community technology access specialist for DHA. The friendly approach works: My class is lively, and students ask plenty of questions during Garcia Garay’s straightforward instruction. “Does anyone know anything about Excel?” Garcia Garay asks. Nobody does, so she dives into the basics of spreadsheets, and together we brainstorm the kinds of things users could potentially do with a spreadsheet: calendars, to-do lists, and budgets, the latter of which is what we’ll be creating for the remainder of class. After all, the best way to learn is by doing. There are enough computers for each student to have his or her own. After we’ve titled our spreadsheets, Garcia Garay goes over rows, columns, and cells, and how they function. We spend some time typing numbers into our sheets, and that’s when I decide to go rogue, working on a 2018 work ledger instead. When Garcia Garay shows us how the sum function works, I’m annoyed with myself for all the time I’ve wasted with calculators. “A lot of you are using your mouse,” Garcia Garay points out. Then she mentions that sometimes it is easier to use the arrow keys in Excel — simple, but I’d never tried that. Created with the $100,000 dollar Comcast grant, DHA's main hubs are located inside Mulroy Opportunity Center, North Lincoln Opportunity Center, Sun Valley Opportunity Center, and Westwood Opportunity Center. Photo by Jamie Siebrase. These certificates are awarded to participants who have successfully complete all six DHA digital readiness classes, which include: Gmail and Google Drive, Skype Basics, Internet Search Engines, Microsoft Word Basics, Microsoft Excel Basics, and Facebook for Beginners. There’s a typing test, too, that requires certificate holders to type at twenty words per minute. With a digital readiness certificate, students are eligible to participate in DHA’s Academies to Work program, a more advanced series bestowing to graduates a nationally recognized certification. “The connection itself is important, but really it’s what you do with it,” says Andy Davis, Comcast’s director of government affairs. 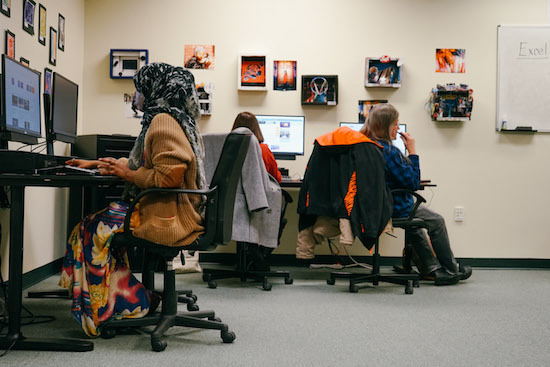 That thought was the impetus for Comcast’s Internet Essentials, the low-income broadband accessibility program we covered last month in this Confluence series on the Denver Housing Authority. Comcast launched Internet Essentials in 2011, with the goal of bridging the digital divide. “There are thousands of individuals who aren’t connected because of financial challenges, and we thought that as a company we were uniquely positioned to provide this program,” explains Mary Spillane, Comcast’s director of community investment. Initially, Internet Essentials was offered to families with children who qualified for the National School Lunch program. 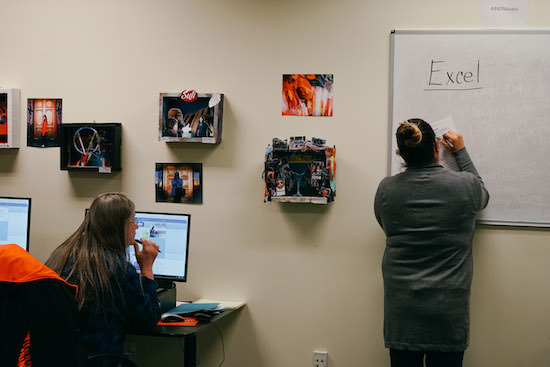 In 2016, though, Comcast expanded its reach, piloting the “housing component” of Internet Essentials to include tenants living in low-income public housing. Since then, more than 1,000 DHA residents have connected to high-speed Internet through DHA’s partnership with Comcast. Comcast also awarded DHA a $100,000 grant to upgrade its technology equipment, both kin housing units and at several “opportunity centers,” where DHA provides free technology training for residents and non-residents, too. DHA currently operates “five and a half technology hubs,” Frank says, that service 12,000 DHA households. 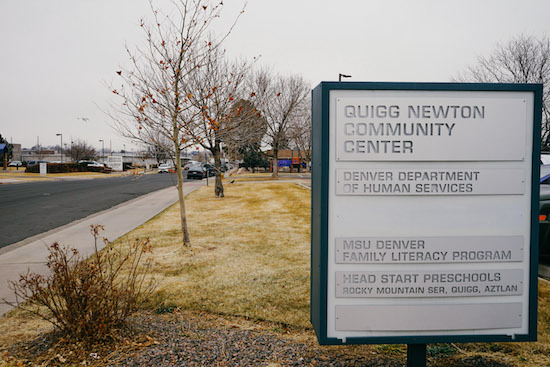 Created with the $100,000 dollar Comcast grant, DHA’s main hubs are located inside Mulroy Opportunity Center, North Lincoln Opportunity Center, Sun Valley Opportunity Center, and Westwood Opportunity Center, which is also supported by the Denver Office of Economic Development, and Connections@Mariposa. The Quigg Newton Community Center -- which is where I’m learning about Excel -- is the “half-of-a-hub” Frank mentioned. 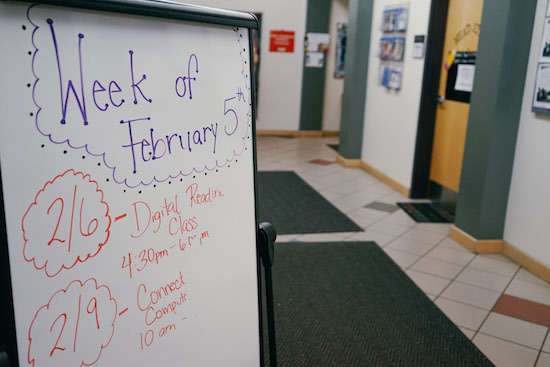 Since launching its digital readiness classes last February, DHA has had over 160 unique adult students. You don’t have to be a DHA resident to attend the organization’s technology classes. “We’ve begun to promote them to the greater community,” says Frank. And when it comes to tech training, adult digital literacy classes are only the beginning. Once a month, DHA hosts educational webinars for homebuyers from its Mulroy Opportunity Center. “Twenty to forty people attend these webinars each month from across the state,” Frank reports. Colorado kids are also getting in on the action. In 2017, DHA teamed up with Denver Public Library’s ideaLAB to hold a special website development camp during DPS’s spring break, at the Mulroy and Westwood opportunity centers. This year, DHA will offer coding fundamentals and 3D modeling/printing classes during spring break, at its Quigg Newton Commmunity Center and the Mulroy Opportunity Center, for youths ages 8 to 16. “We also partnered with EveryoneOn and Kano to provide Kano Internet computer devices to youth in 2017 that provide apps teaching the fundamentals of coding,” adds Frank. More than fifty adolescents and teens between the ages of 10 and 18 participated. There’s one thing Frank can’t seem to underscore enough. “All of these classes were made possible by the Comcast Wi-Fi networks in our centers,” he says. This story is part of a series on the Denver Housing Authority and is underwritten by Comcast.